Have you ever eaten turtle? Turtle soup? Fried turtle? I haven't, and probably never will. (I'm fickle like that.) I have, however, eaten turtle cheesecake, and that's turtle enough for me. These little beauties have been specifically requested by the bride (for any newbies to my blog (welcome! ), I've been asked to make desserts for the reception), and they're a delightful choice. 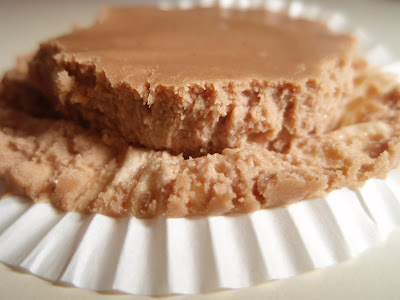 I personally think caramel may be the very best thing to pair with chocolate, and come on--it's cheesecake! One of my main concerns (aside from keeping them cool in outdoor early-July heat) was wrapper removal. Would they peel right out? Eh, almost, but not quite. Line mini muffin tin with paper cups. In a large mixing bowl, combine cream cheese, sugar, and vanilla. Beat together until light and creamy. Add the flour and blend until smooth. Pour in melted chocolate and sour cream and mix well. Add the egg and mix. 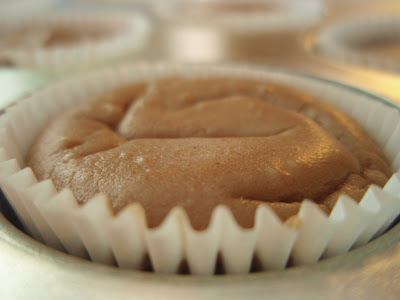 Spoon the filling into cups and bake for 12-15 minutes, until the center is almost set. Let cool at room temperature for at least 10 minutes, then refrigerate for 8 hours or overnight. 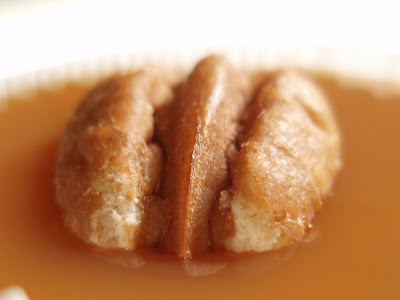 Before serving, drizzle on some caramel sauce and top with a pecan. So yesterday was Mother's Day and International Eat What You Want Day. Coincidence? I think not. This one's for you, Mammicus! And don't those turtles look delicious! those looks so fantastic. caramel is my favourite. pecans too. this is simply drool-worthy! great photos. i would eat those turtles any day. would it make a difference if you used foil cupcake wrappers/holder thingies? lol Grace I can always count on you for a bit of laughter. Well done on the turtle cupcakes. What lovely photos of some very yummy looking treats! Those just look awesome! 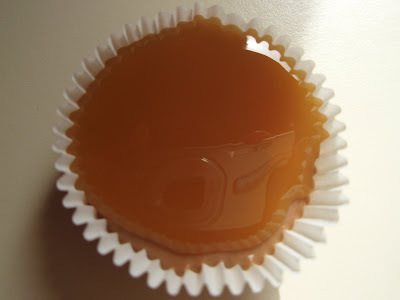 I love caramel. those turtles look much better than the reptiles!... or is it amphibians?! they look so good! i love absolutely everything that comes out of a mini muffin tray! Brilliant! I think they look very delicious. Oh that's cute...maybe they turtle at the French Laundry...? Love that last photo, it made me open my mouth...I want some too! Happy Mothers day - chocolate, caramel, pecans? What a better way to treat yourself than that. no turtle soup, but I'll take those choco turtles! yum! Haha! Funny. Your kind of turtles are my favorites. But you know I like your kind of turtles quite a bit! I have sent you an award, check out my blog. Cheesecake, chocolate, caramel and pecans...mmm... those look really good! Mmmm, that looks to die for! Ohhh, they're so cute. Cute lil' baby turtles. OMG! Seriously, why do you torture me? 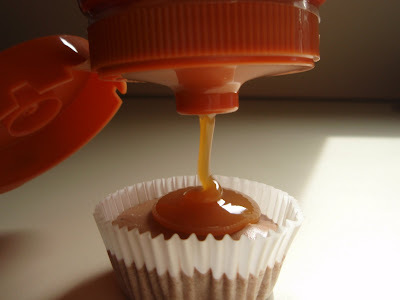 I would love to lay underneath the caramel ...mmm heaven! Just let me know when this wedding is. I can brave the heat for these. Lord knows, I could just take a bottle of that. The thing I love about mini cheesecakes is how easily they seem to find their way into my mouth. Glad you stopped by because I absolutely love your blog! I have had turtle soup but would MUCH rather one of those delectable turtles you've made! Update when you figure out how to get them to peel out of the wrappers easily. I'm curious. i've had turtle shell. i'm guilty of saying there's a chinese dessert (which is made by cooking the shells till you get a kind of herbal jelly) called Gui Ling Gao which i absolutely adore and it has great medicinal purposes. Yum, Yum and more Yum. This has been bookmarked. Awww what a cute idea for wedding reception food! My dad actually made turtle soup from a snapper he caught in our pond but I declined to try any! I much prefer your approach! My great aunt and uncle had a farm when I was a kid and when we had fish fries, Uncle Hebe would have frog legs, turtle soup and he'd fry up the fish eggs if he found any. I wouldn't touch ANY of it. Well, maybe the frog legs. These days I'll stick with cheesecake, too! Cute post. 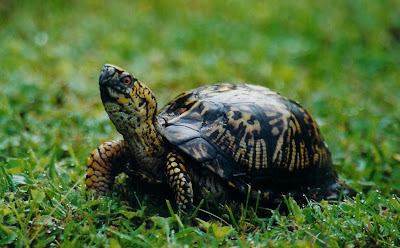 Why Grace, Turtle Soup is a Southern staple! I was working up the courage to give this a try and your cute turtle squashed that idea. 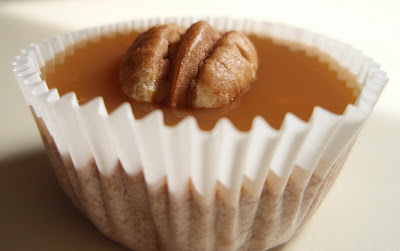 Ooooh, the caramel is a winner! Save a few for me because I'm coming right over!! These look fantastic. I love their size then I can eat a bunch of them.